Amazon.com description: Product Description: The history of the origin and career of the two Slav States, Poland and Russia, is interesting not merely because it contains a vast number of surprising scenes and marvellous pictures of life, not merely because it gives us a kaleidoscope as it were of the acts of men, but because these acts in all their variety fall into groups which may be referred each to its proper source and origin, and each group contains facts that concern the most serious problems of history and political development. The history of these two States should be studied as one, or rather as two parts of one history, if we are to discover and grasp the meaning of either part fully. When studied as a whole, this history gives us the life story of the greater portion of the Slav race placed between two hostile forces,--the Germans on the west, the Mongols and Tartars on the east. The advance of the Germans on the Slav tribes and later on Poland presents, perhaps, the best example in history of the methods of European civilization. The entire Baltic coast from Lubeck eastward was converted to Christianity by the Germans at the point of the sword. The duty of rescuing these people from the errors of paganism formed the moral pretext for conquering them and taking their lands. The warrior was accompanied by the missionary, followed by the political colonist. The people of the country deprived of their lands were reduced to slavery; and if any escaped this lot, they were men from the higher classes who joined the conqueror in the capacity of assistant oppressors. The work was long and doubtful. The Germans made many failures, for their management was often very bad. The Slavs west of the Oder were stubborn, and under good leadership might have been invincible; but the leadership did not come, and to the Germans at last came the Hohenzollerns. 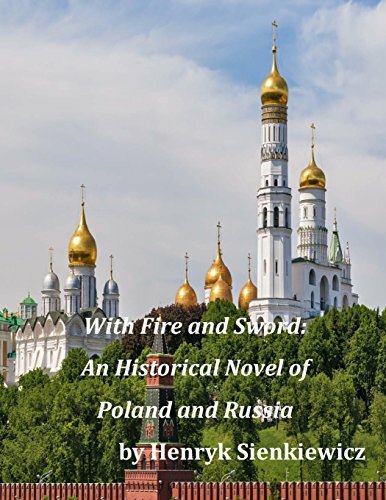 About: The history of the origin and career of the two Slav States, Poland and Russia, is interesting not merely because it contains a vast number of surprising scenes and marvellous pictures of life, not merely because it gives us a kaleidoscope as it were of the acts of men, but because these acts in all their variety fall into groups which may be referred each to its proper source and origin, and each group contains facts that concern the most serious problems of history and political development.